The seven seas were once humankind’s highways and turnpikes, sailed to conquer, explore and trade. While giant barges still haul their loads along many of the world’s waterways, today, sailing is mostly synonymous with leisure, luxury and sport. Celebrities are snapped lounging in exotic ports of call. People of privilege jibe and tack trying to out-do their adversaries and mates. International teams compete for prizes and prestige, perhaps while tossing about a salty word, all from the decks of prime sail boats and yachts. Supplying such crafts to those who boat is Delphia Yachts Kot sp. j., producers of top-quality vessels for almost any recreational seafaring need. Part of Delphia Yachts’impressive success can be attributed to the company’s commitment to using highquality materials and its attention to detail, while offering its product at industry-standard competitive prices. High quality and watching the bottom line, though, has not inhibited Delphia Yachts from thinking green. “Our shipyard has also solved some environmental problems. For example, we have installed dust separators at our joinery, which completely eliminate ‘dust’ problems. We have also switched from coal to oil-fired boiler systems. To be able to recycle as much waste as possible, we have created a dedicated waste recycling station. And since 2002, we have used environmentally friendly components and materials such as low styrene emission resins,” says Mr. Wojciech, Delphia Yachts co-owner. Delphia Yachts’ care, quality and forward thinking has not gone unnoticed. 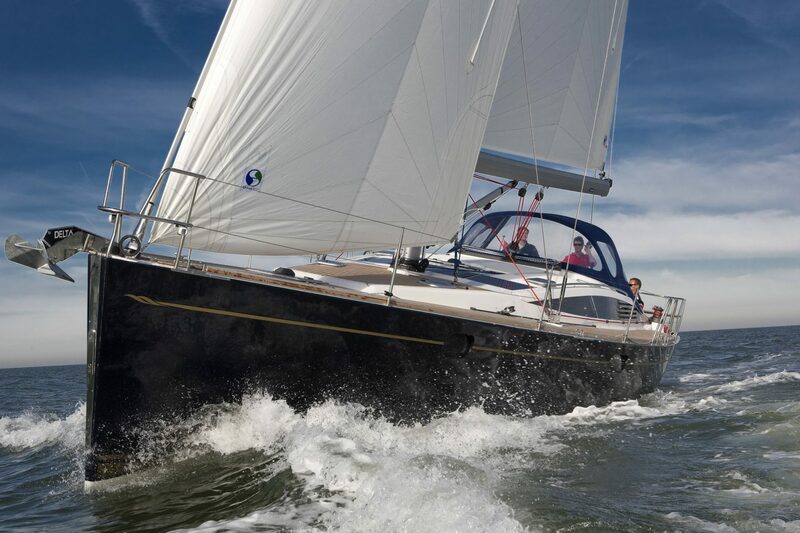 Numerous groups and organisations have recognised the marine craftsmen for their contributions to the boat building and sailing craft industry, which include the Delphia 33 being named the 2007 Import Boat of the Year and European Yacht of the Year.